I’m sorry I haven’t posted in such a long time. I had deadlines, and then I was partying to celebrate the end of deadlines, and then I was sleeping to recover from all the partying. But now I am back to my everyday routine. Well, everyday apart from the fact that it’s been so snowy! 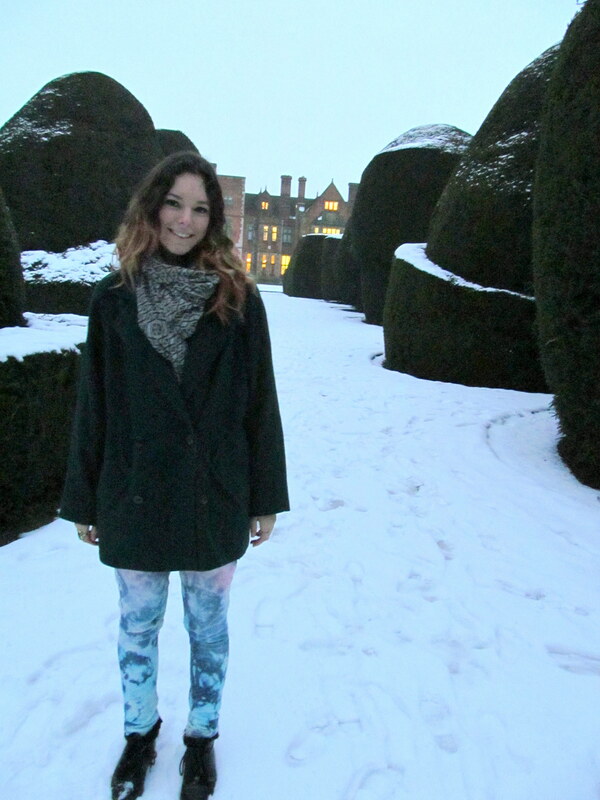 Here’s a picture of me in the snow wearing some trousers I made. And, in case you were wondering, here’s how to make them. You will need: Some jeans, a bottle of household bleach, two packs of clothes dye, a bucket, some salt, rubber gloves, rubber bands and bin bags. This is great to do with old jeans that you’re bored of, or if you don’t really like the shade of the jeans. 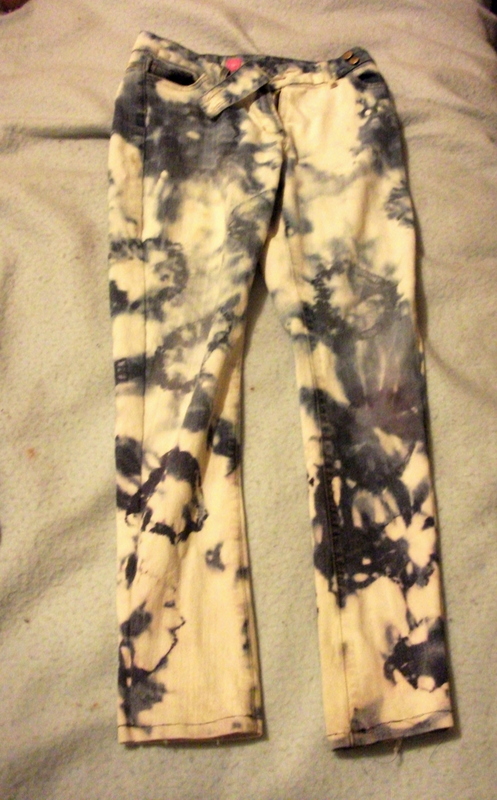 The jeans that I dyed started off really baggy, but I made them skinnier. Maybe I’ll do a tutorial about that sometime. 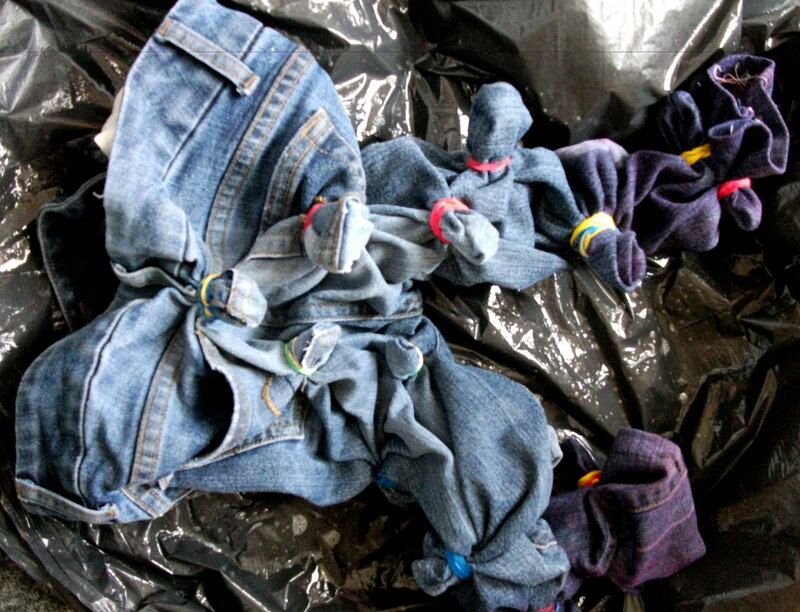 Step 3: Wrap elastic bands around the top half of your jeans, and get your dye ready in a bucket. 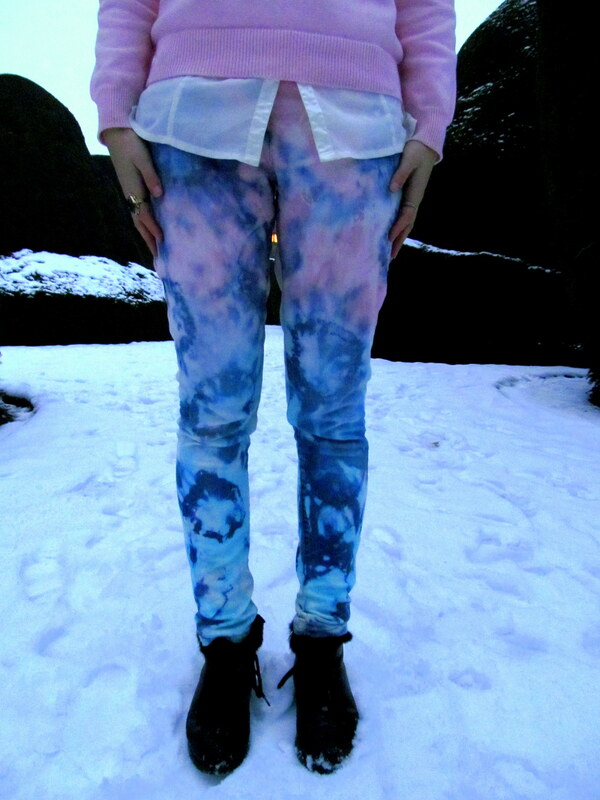 put the top half of the jeans into the dye. For more tips on dying clothes, look here. When they’re finished, wash and dry them. Step 4: Repeat step 3 with the bottom half of your jeans and the second colour of dye.